The most powerful forces that can be generated by the human body are initiated,controlled, and dominated by thehip. 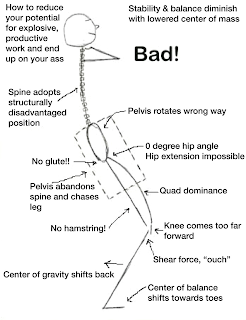 Unfortunately, in the majority of trainees, some degree of hip dysfunction creates postures and mechanics that reduce power and stability and are generally unsound. 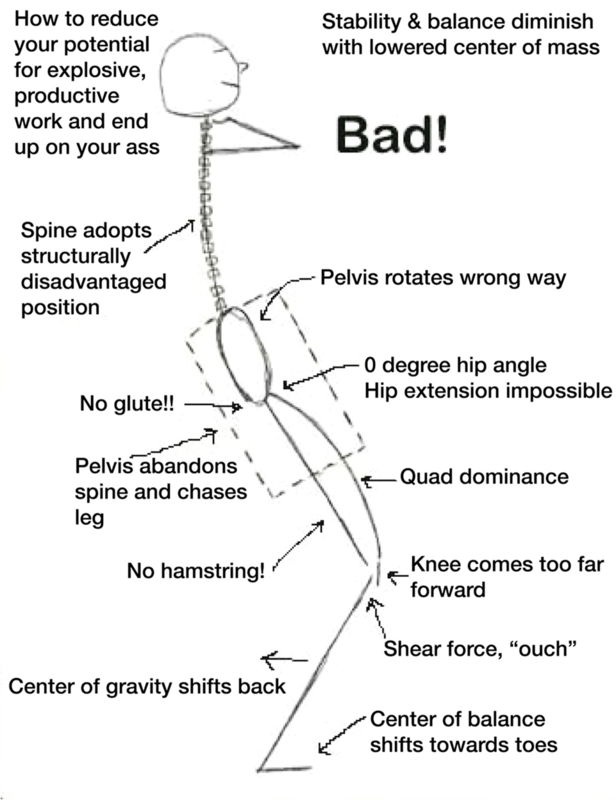 The faulty mechanics arise from inadequate training and insufficient practice of critical hip movements. MHF is evident to some degree in all but the most accomplished athletes or those who’ve trained to avoid it. 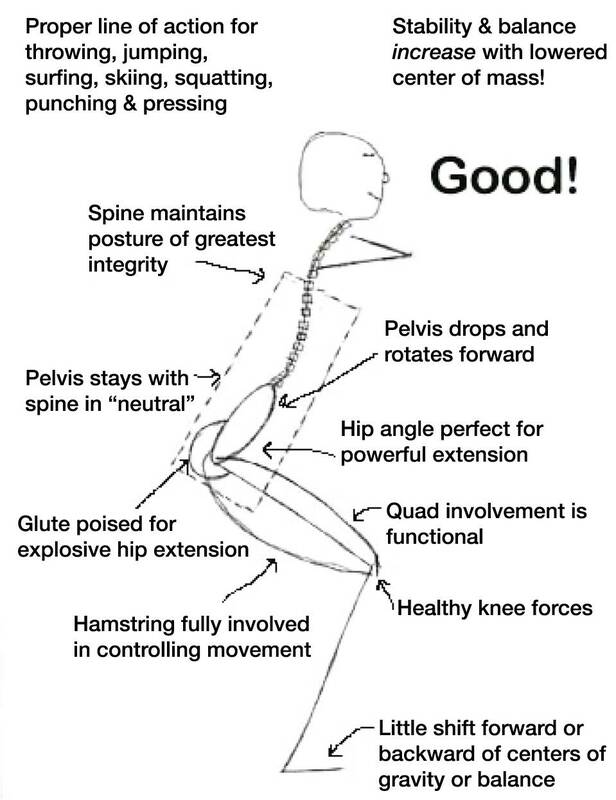 We tell our best athletes that it will typically take three to five years to fully develop the hip’s explosive capacity where there are no sign of MHF postures or tendencies. foremost, using leg extension to compensate for weak or nonexistent hip extension. MHF is squatting where hip extension is retarded while leg extension is not. will do it than not – including many good ones. The most important effect of all these elements—and of MHF overall—is a marked decrease in stability, balance, and power. The degree of MHP varies from mild to severe. In severe cases everything the athlete attempts is rocked by instability and low power. In mild cases power loss and instability occur only while under great physical stress. In combat and elite performance, even mild MHF can lose the day. For physical performance what could be worse than low power and instability? 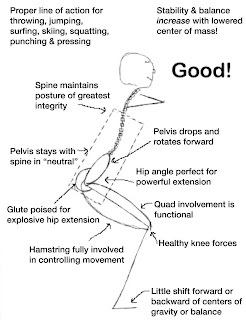 Deliberate and focused training and practice of demanding hip extension movements is the only way to eliminate the effects of MHF. Again, it will typically take three years or more to eliminate all tendencies toward MHF. No exercise offers as much opportunity to correct MHF tendencies as perfect-form, high-rep push press. MHF is evident within the first .01 of a second of a bad push press.